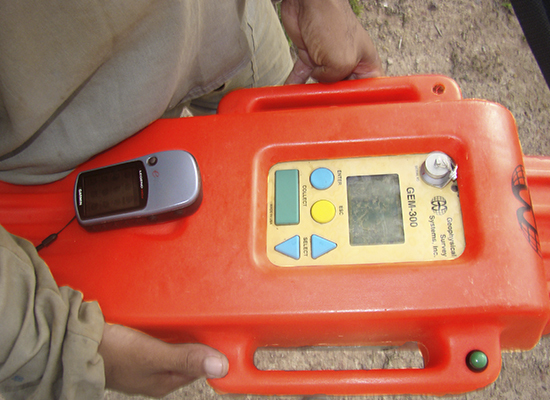 Using multifrequency equipment (GEM 300). 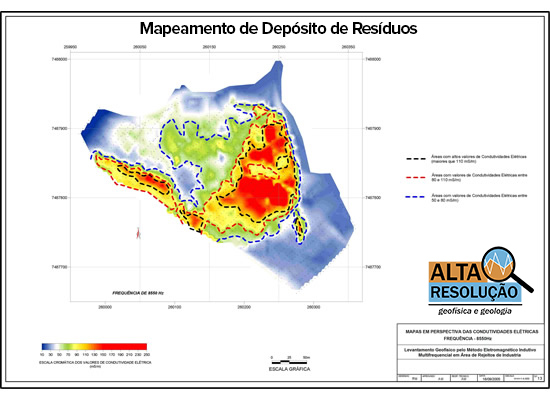 Alta Resolução can offer the very best in conductivity surveys of soils and rocks, reaching depths of tens of meters. 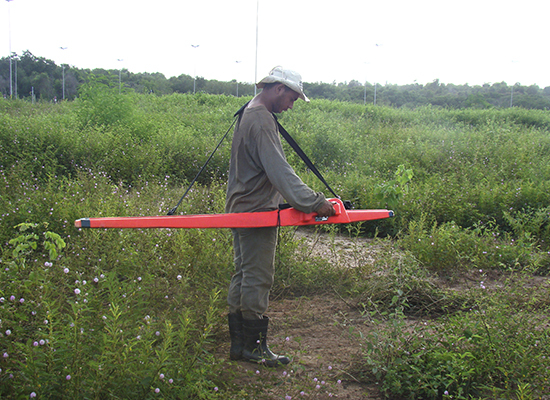 Fully portable and does not require direct coupling to the ground, you can map large areas in a short time. 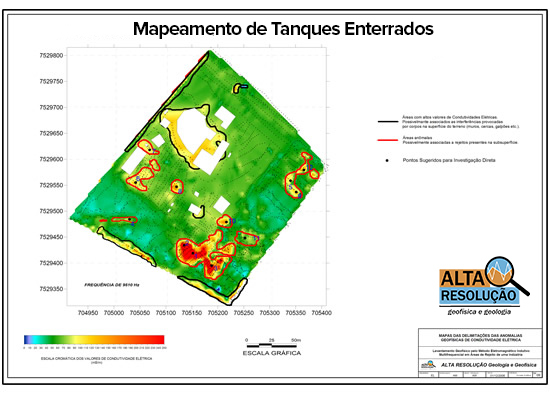 Monitoring of acid drainage in mines.